According to the Department of Tourism, there were 3,139,422 foreign visitors to the Philippines in 2008. Thailand on the other hand enjoyed more than 14 million tourist arrivals in the same year. Why? What's wrong with Philippine tourism? The National Geographic Adventure couldn't have nailed it down better. 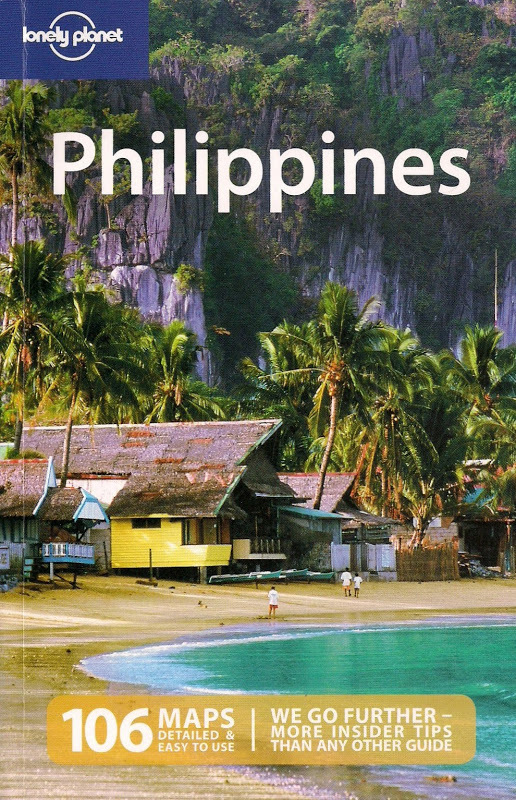 On its November 2009 issue, the magazine has included the Philippines on its list of the 25 Best New Trips In The World - but not after correctly diagnosing that the archipelago "has a PR problem". For a very long time, the Philippines has been periodically plagued with bad news. Media reports relayed to the outside world usually portray a country beset with disasters, insurgency, corruption and crime. Any foreign traveler planning a trip around Southeast Asia will find these oftentimes overblown news reports a big turn-off, leading many potential visitors to avoid the Philippines at all. To their credit, the Philippine Department of Tourism has a done a big part in deflecting these negative press reports and focus on selling what the country can offer to visitors. During the recent Adventures In Travel Expo sponsored by National Geographic in New York, the Philippines took part once again in this popular event with more participation scheduled next year in the NatGeo travel shows in Chicago, Los Angeles, Seattle and Washington D.C.
Exposures to travel shows have certainly helped the Philippines in getting the attention not only of individual travelers but big adventure outfitters as well. In North America, both Wilderness Travel and GAP Adventures (a company I've traveled with in 2007) have finally dipped their adventurous toes into the Philippines. The first caters mostly to travelers with deeper pockets while the latter is oriented towards the budget-conscious. Gap Adventures has 9-day trips in Luzon which include stops in Manila, Banaue, Sagada, Baguio, Vigan, Pagudpud and Laoag for $1899 per person while Wilderness Travel has two trips, a 12-day hiking/snorkeling trip in Banaue and Cabilao island from $3595 per person and a 13-day kayaking/snorkeling trip in El Nido and Donsol from $4495 per person. These trips are small groups of adventurers from all over the world, usually 10-15 with a trip leader and local guides. The "PR problem" itself has indeed been a stumbling block for the Philippines as a wishlist travel destination but with the right exposure and savvier travelers increasingly armed with the right information, expect more blue eyes and blond hair hiking in the Cordillera or beach bumming in Boracay next year. local and foreign tourists surely help economy and can bring jobs to many =) so bring it on! send more itchy feet to cordillera and boracay stat! I agree with the PR problem. Come to think of it, both Thailand and the Philippines have their own share of political fiascos, but that hasn't hampered Thailand from luring visitors, while the Philippines have always been in the travel alert lists of various countries. I am not a tourism expert, so I don't know how to fix this problem, but I suppose I can do my own part by traveling in the Philippines and blogging about it when I can. I sometimes feel embarrassed that I have been to 18 countries and backpacked in various parts of the world, while I have never actually traveled the Philippines at all. It is my goal to fix that. so true. media in the philippines trumpets bad news to high heavens and foreign media echoes them like gospel truth. Filipinos overseas try hard to create a different perspective but its normally not enough to attract foreigners to visit our shores. I think the Philippines has a lot to offer to foreign tourists... but it is not only a PR problem. There is still a lot of infrastructure missing...(roads, buses, etc)especially in the provinces. Many big travel agencies like to send big amounts of tourists to one place...in a big hotel ! It is fine for the backpackers... but not for the "average" tourists... who are afraid of adventures... the Philippines are still a bit frightening. A lot of tourists just want the beach, good food and no hassle. Therefore the Philippines needs to get their act together... discipline our taxi drivers, we need reliable transport, etc. Basic infrastructure ise still lacking in some parts of the Philippines. Going to Ifugao and Kalinga... is still quite an adventure...not sure if the "average tourist" is prepared to drive on top of a jeepney. Fun for me... but alas many tourists don't like those simple joys. notwithstanding the pr problem, the disparity is still baffling. our country has lots to offer and we, travel bloggers, could certainly help where the dot fails - that is to show the true picture of the place for local tourists to appreciate and protect. i certainly hope that more foreign tourist can come but please stop those koreans from destroying our place. not once have i seen them stump over our corals and vandal on our hills. kainis. This comes as no surprise to see the Philippines listed here. With our countless natural sights, limitless adventure options and friendly service, its high time that we are recognized in such a list. Hopefully this would be the start of something great for the Philippine travel industry. I agree with Sydney's observation and comment re Pinas. The government needs to do a lot more to attract tourists. I just came back from a tour and in two (Jordan and Egypt) of the three countries we visited our tour group was always accompanied by a plainclothes, well-armed tourist policeman. I did not think it was necessary but it was comforting to know that they are there for our protection. we can't blame the foreigners not to visit us, w/ more head-shaking images and news in the print and tv, - why to risk money and life?? if all they need is fun and adventure..
sometimes, however, those pesky news are exagg.. if only they knew there lots of good and greats to see out-there! im quite excited as the country is gaining attention nowadays from different media. this alone tells that our tourism will boom. but i still hope that a good travel system be established. yeah. that's sad. philippines is one of the most amazing countries in the world, but not all knows it. and you know why. because of OUR bad reputation to the foreigners. // kaya wala sa kalingkingan ng malaysia, singapore and thailand ang tourist arrivals natin. haiz. i hope that the next president will also address our TOURISM. btw, i also had a entry about the tourist slogans of southeast asia. here's the link: http://tsilspat.blogspot.com/2009/11/selling-southeast-asia.html. thanks! i was really happy when i read this on the local newspaper. finally! Please please we need you people to speak for the Philippines! While we lack the resources in Funds for the PR we have you our countrymen and people who have been to our beautiful country to Vouch for us and the magnificent country that we have....MABUHAY PO KAYO! My name is rene baltasar. Proud Filipino!